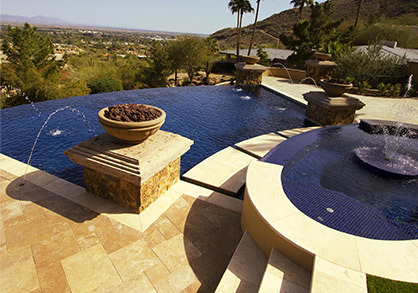 Here in Arizona, swimming pools are a key part of our sunny way of life. There are few things as enjoyable as jumping into the crystal clear waters of your own swimming pool after a long day at work. 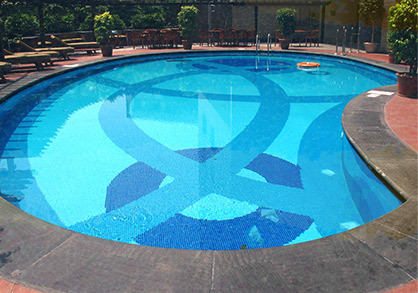 However, swimming pools can quickly become the opposite of crystal clear without proper maintenance. Your swimming pool relies on its automatic filtration system to capture debris and keep the water safely circulating. If this system is damaged or stops working, you could wake up to a pool full of dirt, debris, and even algae as a result. That’s why Universal Pool Service offers “BBB maintenance” in Glendale, Litchfield Park, and Goodyear for a low monthly fee. When you hire us to inspect and maintain the filtration system in your pool, you’ll never have to worry about this time-consuming and delicate task again! What Happens If You Don’t Clean Your Swimming Pool Filtration System? ALL POOL FILTERS must be cleaned and/or backwashed on a regular basis to ensure that they’re operating at top efficiency. The frequency depends on the type of filter, however. To allow a filter to go too long between cleaning or backwashing puts your entire pool at risk of damage. 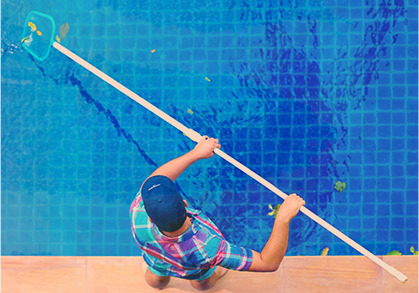 To ensure that your pool is always operating at optimal efficiency, Universal Pool Service offers our BBB (brushing, baskets, and backwashing) Package. This monthly services includes a thorough inspection of your filtration system, backwashing when necessary, emptying of strainer baskets, and cleaning of the pool’s sides and steps. Don’t waste your precious pool time backwashing filters or scrubbing the steps! Contact Universal Pool Service to learn more about the BBB package today. Cartridge – If you have a spa or a smaller above ground pool, it’s likely serviced by a cartridge filtration system. Most of these systems employ a removable, reusable filter cartridge that’s made out of spun polyester and pleated inside a heavy plastic core. Diatomaceous Earth – If you have a small to mid-sized in-ground pool and are most concerned with efficiency, it’s likely that you have a diatomaceous earth, or D.E., filtration system. This system forces pool water through a coating of D.E. powder to strain out contaminants. Sand – Known to be the lowest maintenance of all the pool filtration system types, a sand filter can be spotted by its pot-belly shape. The sand that’s contained in the tank blocks dirt, oil, and debris from returning back into the pool.